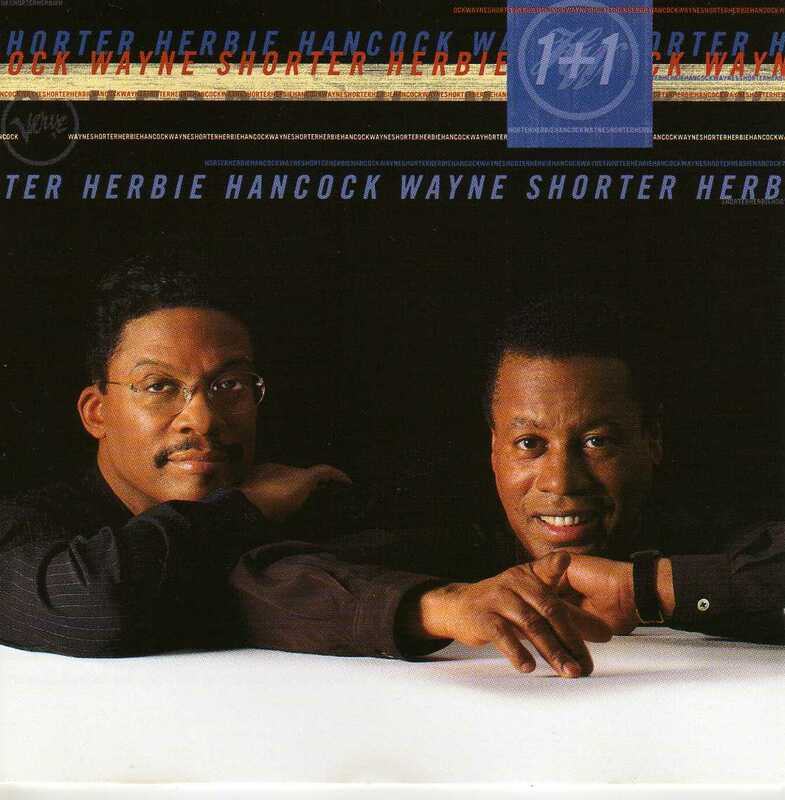 “Beyond category or idiom, audacious in its very idea, Herbie Hancock and Wayne Shorter perform a little over an hour of spontaneous improvised duets for grand piano and soprano sax. That’s all — no synthesizers, no rhythm sections, just wistful, introspective, elevated musings between two erudite old friends that must have made the accountants at PolyGram reach for their Mylanta. Hancock’s piano is long on complex harmonies of the most cerebral sort, occasionally breaking out into a few agitated passages of dissonance. His technique in great shape, Shorter responds with long-limbed melodies, darting responses to Hancock’s lashings, and occasional painful outcries of emotion. The leadoff track, “Meridianne — A Wood Sylph,” clearly takes off from a base of Satie to set the reflective mood for nearly the whole CD; only the final, brief “Hale-Bopp, Hip-Hop” offers a hint of comic relief.